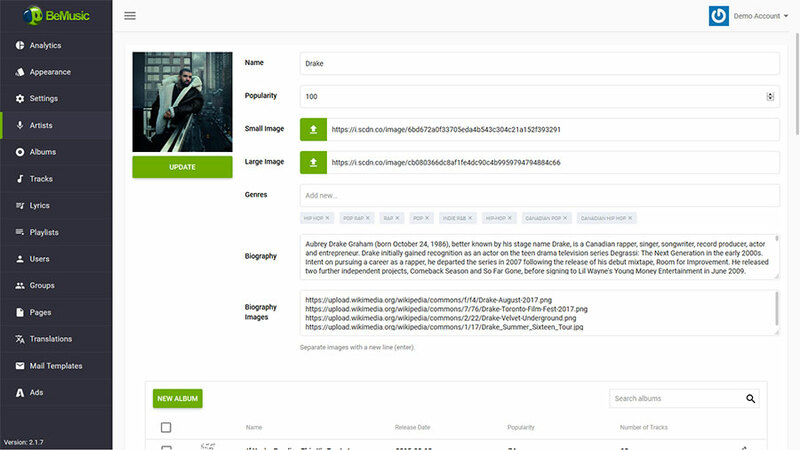 You can see a demo of admin area by logging in with username: admin@admin.com and password: admin, note that destructive actions like deleting and editing are disabled on demo site and admin account will be reset every hour (playlists, songs, avatar etc will be detached or reset to default). 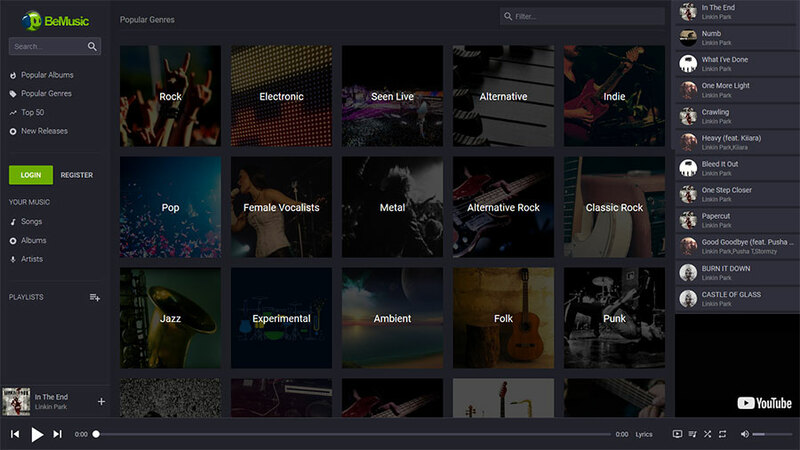 Automated – BeMusic has access to millions of artists, songs and albums, all available automatically. 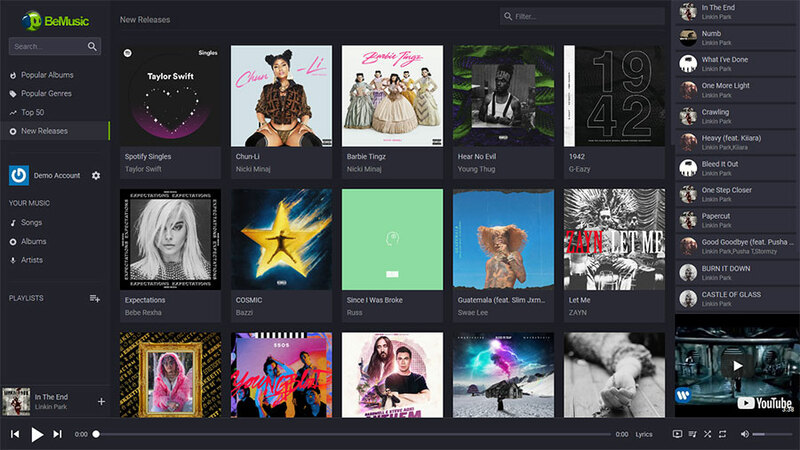 Use as a CMS – You can easily disable all automatic data fetching and create everything manually , turning BeMusic into fully functional music CMS. 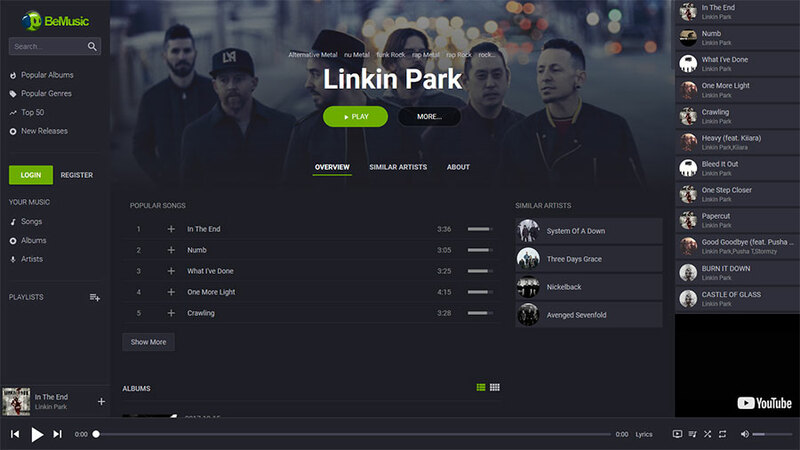 User Libraries – Users can add songs, albums and artists to their library on BeMusic in addition to playlists. 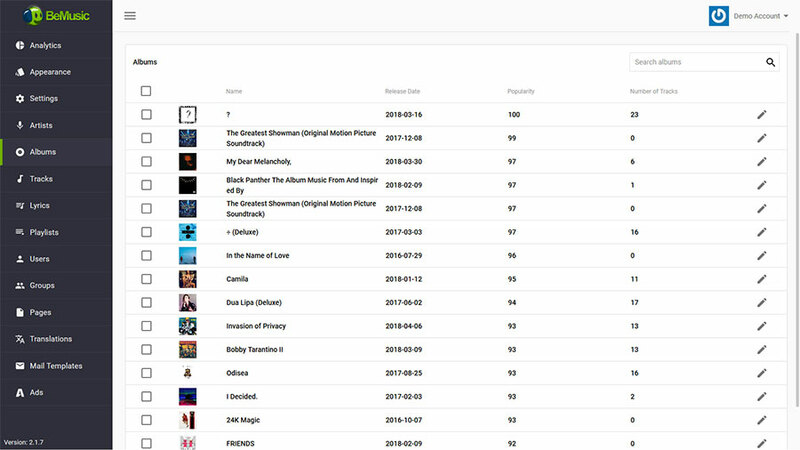 Single Page – BeMusic is a single page (ajax based) application, which means it has no browser page refreshes when navigating trough the application. Translatable – BeMusic is fully translation ready. You can translate it easily from admin area so there is no need to mess with config files or 3rd party applications. 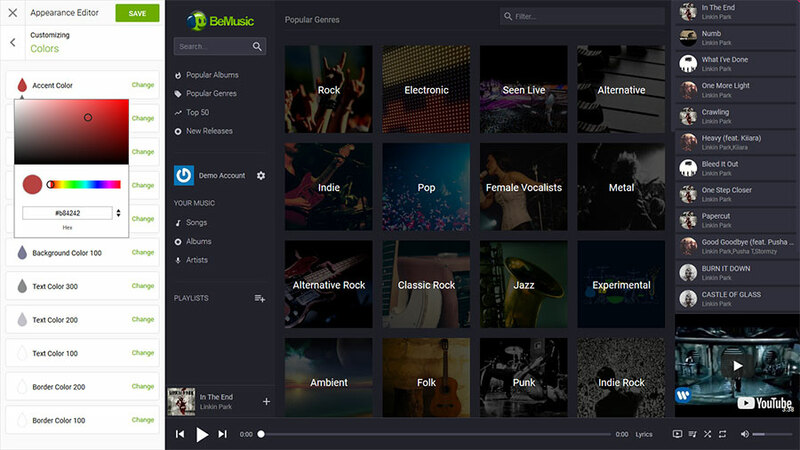 Responsive – BeMusic is fully responsive and will scale to the size of any device. Force Login – You can force users to login before they can access any of BeMusic features. Ads – 6 integrated ad spots. All you need to do is paste your ad codes in admin area and BeMusic will do the rest.